I tend to jump from book to book and may switch if I am interested in some new topic. This is a pleasure for me (which I also do benefit work wise from too). It’s quite a random list because I have eclectic interests (or just scatterbrained most likely) on tech business, AI, general global economy, geopolitics, rising Biotech economy & history. I'm basically 15% to 50% into all these books. Paul Shapiro gives you a front-row seat for the wild story of the race to create and commercialize cleaner, safer, sustainable meat—real meat—without the animals. 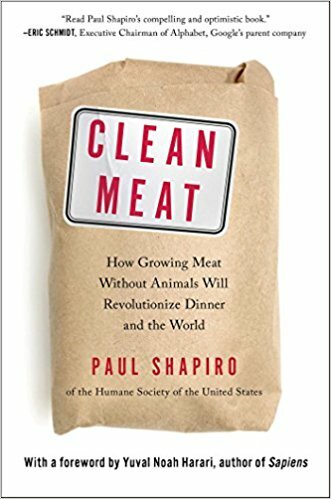 From the entrepreneurial visionaries to the scientists’ workshops to the big business board­rooms—Shapiro details that quest for clean meat and other animal products and examines the debate raging around it. Since the dawn of Homo sapiens some quarter million years ago, animals have satiated our species’ desire for meat. But with a growing global popula­tion and demand for meat, eggs, dairy, leather, and more, raising such massive numbers of farm animals is woefully inefficient and takes an enormous toll on the planet, public health, and certainly the animals themselves. But what if we could have our meat and eat it, too? The next great scientific revolution is underway—discovering new ways to create enough food for the world’s ever-growing, ever-hungry population. Enter clean meat—real, actual meat grown (or brewed!) from animal cells—as well as other clean foods that ditch animal cells altogether and are simply built from the molecule up. Whereas our ancestors domesticated wild animals into livestock, today we’re beginning to domesticate their cells, leaving the animals out of the equation. From one single cell of a cow, you could feed an entire village. And the story of this coming “second domestica­tion” is anything but tame.